U.S. Rep. Gene Green, a Houston Democrat, is retiring from Congress, a spokesman told The Texas Tribune on Monday afternoon. 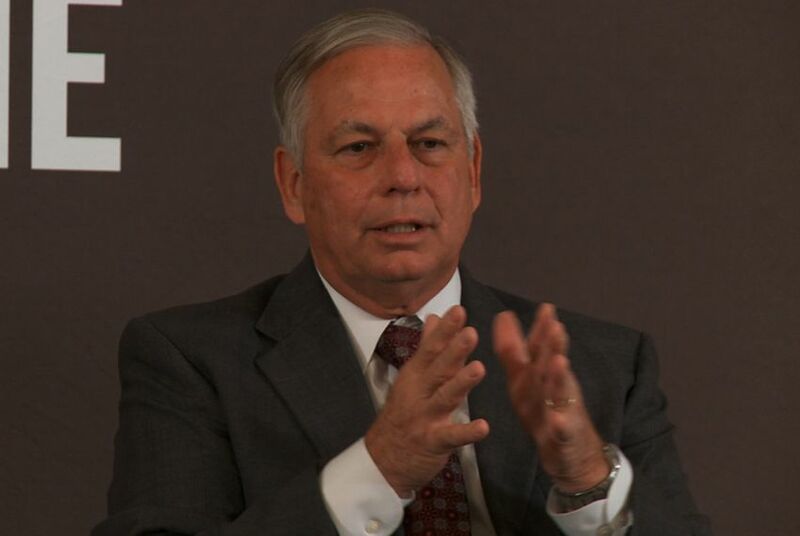 WASHINGTON — U.S. Rep. Gene Green, a Houston Democrat, is retiring from Congress, a spokesman told The Texas Tribune on Monday afternoon. Green, who was first elected to the U.S. House in 1992 after serving 20 years in the Texas Legislature, said he was stepping down to spend more time with his family. “Serving as an elected official is one of the greatest honors our country can bestow on a person," Green said in a written statement. "I have been blessed and fortunate to serve almost 46 years in elected office." He currently holds a powerful position overseeing health care on the House Energy and Commerce Committee and was once chairman of the House Ethics Committee. Green is the sixth member of the Texas delegation to announce their departure from the House after the current term, joining Republicans Jeb Hensarling of Dallas, Lamar Smith of San Antonio, Ted Poe of Houston and Sam Johnson of Richardson and Democrat Beto O'Rourke of El Paso. This past weekend marked the beginning of candidate filing in the March Texas primary. Within Texas delegation propriety, members are encouraged to announce retirements before filing or early in the process, in order to give successors ample time to prepare. As such, speculation ran wild that more GOP members might retire. Instead, the next retirement came from the Democratic side of the delegation. Green's 29th Congressional District is all but certain to remain in Democratic hands. The district has a predominantly Hispanic population, but Green's adept retail political style helped him fend off a 2016 primary challenge from an old friend, former Harris County Sheriff Adrian Garcia. Sources confirm to The Texas Tribune that among those considering a run for the seat are state Reps. Carol Alvarado, Ana Hernandez and Armando Walle; state Sen. Sylvia Garcia; and attorney Beto Cardenas, who served as a staffer for former U.S. Rep. Frank Tejeda, former President Bill Clinton and former U.S. Sen. Kay Bailey Hutchison. Democratic pollster Zac McCrary worked on Green's re-election campaign last year and knows the electorate well. "There's no shortage of strong, ambitious Democrats in that district who have been eyeing that seat for years," he said. "I imagine the dam will break and we'll see a lot of strong candidates there." "An open seat, in a very strongly Democratic seat, you might have double-digit strong candidates deciding to give it a try." Green served in the Texas House from 1972-1984 and in the Texas Senate from 1985-1992.